The SEBE (Visualisation) plugin can be used to visulise 3D output from model results generated by the SEBE plugin. The directory where results from a previous model run in SEBE is located. When this pushbutton is clicked, a recanglge can be drawn on the map canvas. This is the area that will be visulised. 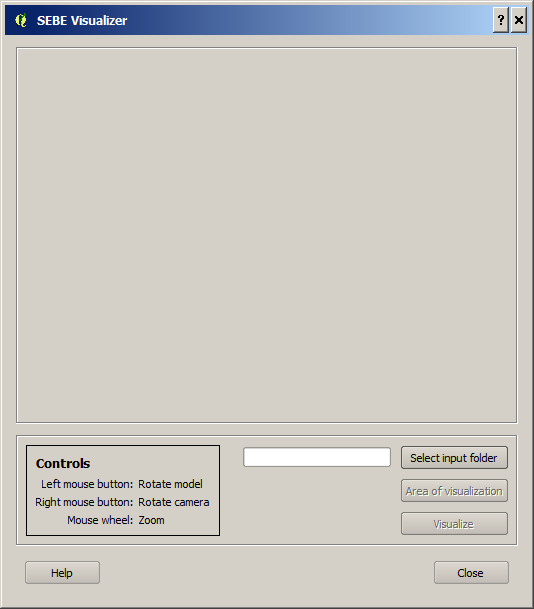 When this button is clicked, the selected rectangular area will be visulised in the SEBE (visualisation) canvas at the top of the GUI.